Explore Nepal Tour is one of the frequently operated tour packages by Three Boys Apartment & Tours Pvt Ltd. This trek provides you the opportunity to explore the best sightseeing of cultural and natural attractions of Nepal. During this trek, you will be exploring the world-famous cultural and religious heritages of Kathmandu Valley and surrounding areas. You will have a sightseeing tour of various cultural heritages in Kathmandu which have been cited as the UNESCO World Heritage Sites. Not only that, you will also get to know about the natural wonders by visiting Pokhara city. 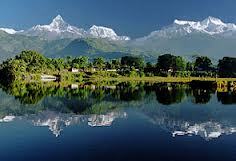 Pokhara is the most popular tourist destination is Nepal and even in the world. Sightseeing of the Pokhara city will provide you the unique experience of natural blessings in Nepal and religious and cultural aspect of Nepal too. Three Boys Apartment & Tours Pvt Ltd. cordially welcomes you for the wonderful Explore Nepal Tour for you. We have crafted very flexible itineraries for this tour. 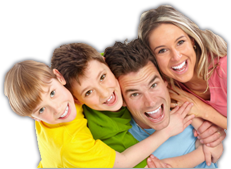 You can customize this tour as per your need and interests. Today, after taking our morning breakfast in the morning, we drive to Pokhara by Tourist Bus. One the way, we enjoy three hours of white water rafting on the Trishuli River. We then have lunch and drive further to Pokhara. On reaching Pokhara, we check-in to hotel and in the evening, we take our time for personal activities and 1 hour on Fewa Lake Boating. We take our dinner and stay overnight at the hotel. Today, after taking our morning breakfast, we start Pokhara valley sightseeing. We cover the Seti Gorge, Davis Falls and Mahadev Cave, Bindabasini Temple, Begnas Lake, Museum and many more and the drive back to Kathmandu. We stay overnight in the hotel.